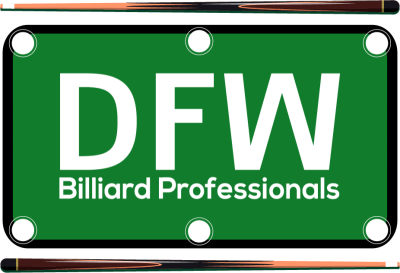 Whether it be Re-felting, cushion replacement, leveling, table breakdown, transport and setup...DFW Billiard Professionals has you covered! Furthermore, when you combine table repair and cue repair services in the same visit, you can benefit from tremendous savings. We service residential game rooms, as well as commercial pool rooms throughout the DFW area. 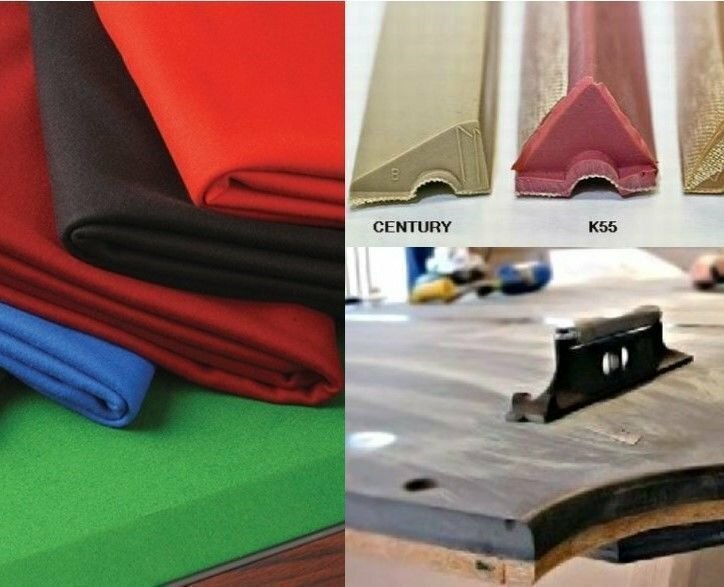 Pool Table Cushion Replacement - Pool table cushions consist of rubber that can harden over time. This hardening causes balls to not react off the rail correctly and often results in a "thud" noise when the ball hits it. These are often referred to as "dead rails". When this happens the cushion(s) must be replaced. Pricing for replacing cushions varies by table size, type of cushions selected, and type of table. Pricing ranges from $35 - $95 per rail for replacement, when combined with re-felting. Pool Table Moving & Assembly - Do you have a pool table you need assembled, or did you recently purchase a table and need it moved and assembled; or, maybe you are doing renovation work in your home and need your table moved temporarily. Regardless the task, we have you covered. Our professional mechanics can handle just about any situation to ensure you table get in place and ready to play on at your convenience. Same location table move - $250. This fee is for moving a pool table within the same building. Additional charges apply for navigation of stairs or have to make multiple visits to breakdown and setup. Different location table move - $300. This fee is for moving a table from one location to another within 20 miles. Additional charges apply for navigation of stairs or for transportation of table over greater distances than 20 miles. Table Assembly - $200. This fee is for assembling a table that is already at a location and apart. This fee assumes all parts are accounted for and that cloth/rails are in good playing condition. Additional charges do apply for situations that require replacement of parts, or other special circumstances. Stair navigation Fee - $25 per flight (up or down). * Cloth and supply cost varies depends on client preferences and repair needs. Cloth prices vary based on manufacturer, type and table size. Supply costs depend on manufacturer of table and what may or may not be needed for the repair service. Such supplies could include feather strips, shims, etc. We strive to only replace and use whatever supplies are necessary for a quality job. These costs can be estimated, but won't be fully known till after table repair is complete. **Price Match Guarantee Disclaimer - price match guarantee is offered only against other professional pool repair companies that have provided written or documented estimates.